Dr. SkySkull and the mystery of the subluminal superluminal light! References in a scientific paper are supposed to answer questions, not raise them, but sometimes they inadvertently create a minor mystery for the reader. A few weeks back, I blogged about the curious phenomenon of subluminal vacuum beams of light, i.e. pulsed beams of light that travel slower than the vacuum speed of light c = 3 × 108 meters/second even in vacuum. One of the pulses beams tested experimentally, a so-called Bessel beam, has had its speed measured extensively in the past — however, the original paper* on the speed of a Bessel beam, published in 2000, refers to it as a superluminal beam of light! This paper contains both theoretical and experimental work verifying their result, which I should say at the get-go is all correctly done. There was no explanation in the subluminal paper for this discrepancy — how can a pulse of light moving slower than the vacuum speed c also be considered as moving faster than the vacuum speed c? The answer leads us to some interesting aspects of Einstein’s special relativity as well as optics — Dr. SkySkull is on the case! For instance: imagine that we’ve got a laser beam, 5 millimeters in diameter and with a wavelength of 500 nanometers, that we project onto the surface of the Moon. Beams of light naturally spread, and by my estimate the projection on the Moon will be 12.7 kilometers in diameter! Now let’s imagine that a gnat flies right across the beam on Earth, crossing the 5 mm distance in 1 second. The shadow of the gnat will move across the surface of the Moon in 1 second as well, at a speed of 12.7 kilometers/second! This is roughly illustrated below. The speed of the gnat’s shadow, therefore, increases as the size of the beam increases. There is no upper limit to how fast the shadow can move: if we shine our laser beam on Pluto, for instance, the shadow will move at 2.4 × 109 meters/second, faster than c! Apparently something can move faster than the vacuum speed of light, though we need to take a careful look at what that “something” is. Before we do, however, let’s look at another example, the famous “scissors paradox” that, like the previous example, is often discussed in books on special relativity. We start, of course, with a pair of scissors. A curious thing about scissors that you may not have noticed before: as you close them by bringing the handles together at a constant speed, the intersection point where the blades meet accelerates away from the handles. With a little thought, one can determine that the more parallel the blades are to one another, the faster the intersection point moves. In fact, it occurred to me while writing this post that the characteristic “snip” sound that a pair of scissors makes arises from this acceleration in the speed of cutting: when you first start cutting, the intersection point moves slowly — “sss” — and at the end of cutting the intersection moves fast — “nip!” It is, therefore, a great example of onomatopoeia actually having some physical information built into it. Now let us imagine that we have a really big pair of scissors — say, a light-year long! 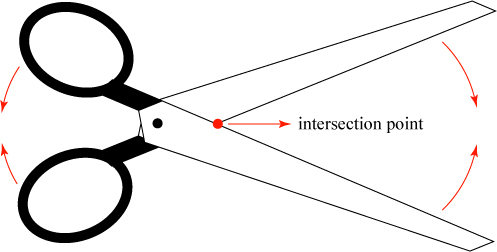 Then, even with a relatively small speed closing them, we can make the the intersection point move faster than c.
We have to be a bit careful with this scissors example, however, because in special relativity, there is no such thing as a rigid body! If the scissors started in an open position at rest, squeezing the handles will not make the entire length of the blades move instantaneously. Instead, the force applied to the handle will be propagated, at the speed of light, along the blades until they are completely in motion. Once the blades are completely in motion, however, the argument about the superluminal intersection point is valid. This paragraph may seem like nitpicking, but it will be important in a moment! So we now have two examples of “things” moving faster than the vacuum speed of light c — or do we? The next natural question to ask is: can we use these examples to send messages faster than c? The answer here is “no.” In the example of the shadow, let us suppose we tried to use the shadow to send a warning signal between two remote stations on the Moon. We quickly find that the shadow doesn’t help: in order for station A to use the shadow to communicate with station B, station A first has to send a signal to Earth at the speed of light telling the Earth observer to send a gnat across the beam! The shadow doesn’t appear on the Moon until it has propagated there, also at the speed of light. There is no way for the shadow to be used to convey information without the help of an intermediary. 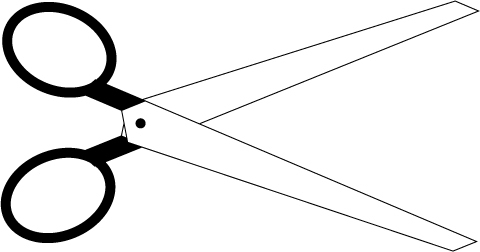 In the scissors example, we run into a similar but subtly different problem. Suppose the holder of the giant pair of scissors wants to send a message to a remote station by using them to cut a rope that rings a bell at the station. As we have noted, however, applying a force to the handle doesn’t instantaneously make the blades move — the force travels down the blades at the speed of light, and the ends only move once the force reaches them. Sure, the intersection point of the blades moves faster than c, but it is already lagging behind the motion of the blade tips themselves, which started moving once the force reached them. So we need to refine our original statement that “nothing travels faster than the vacuum speed of light.” Instead, we should say that “nothing useful travels faster than the vacuum speed of light.” Any sort of trick that we manage to use to make something — shadows, blade crossings — move faster than c ends up not being able to carry useful information without first having something moving at the relativistic limit. This brings us back to the superluminal paper published in 2000! This research, which involves a pulse of light traveling faster than c, seems like it would be immune to the earlier criticism. The researchers generated a short pulse of light in the form of a so-called Bessel beam. The cross-section of such a beam head-on would look something like the following. Cross-section of a monochromatic (single frequency) Bessel beam. The Italian research group generated microwave Bessel beam pulses a few nanoseconds (billionths of a second) long, and measured the amount of time it took for the pulses to arrive at a detector. They found, in rough agreement with their theoretical predictions, that the microwave pulses arrived at the detector at roughly 5-7% faster than the vacuum speed of light. To understand what’s going on, we should explain again the concept of a plane wave, which may be considered the simplest building block for constructing any light wave. 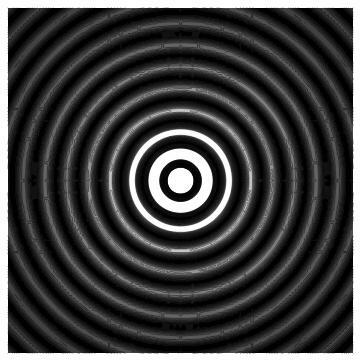 A monochromatic plane wave, which repeats itself in space and time, would have a cross-section that looks roughly as follows at one moment in time. A plane wave gets its name from having a uniform behavior in any planar cross-section perpendicular to the direction of propagation. In the picture above, the planar cross-sections are planes extending into and out of the screen as well as infinitely up and down. We can also make plane wave pulses, the cross-section of which might look something like the following image. 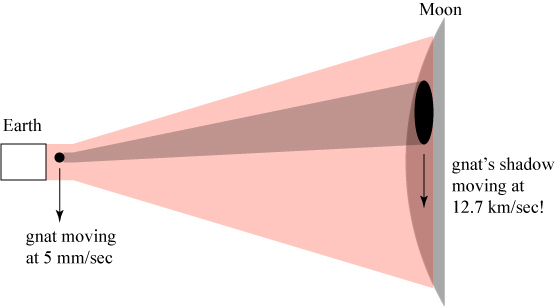 Now a pulsed Bessel beam can be mathematically envisioned as the combination of a group of pulses that are arranged on the surface of a cone, as illustrated below. A cone of plane waves that form a Bessel beam. A few select plane waves are shown in red. This, surprisingly, tells us almost everything we need to explain why the “superluminal” Bessel pulses are really subluminal. First, we note that we don’t even need to include the entire cone of plane wave pulses to explain the effect — we can use just two plane waves on opposite sides of the cone. Let’s look at two of these plane waves at two different instants of time. The plane waves intersect at a single point at any given time. Where they intersect, they constructively interfere and produce a bright spot. As the plane waves travel along their diagonal paths, the bright spot moves to the right. The plane waves each travel at c; just by comparing the distances in the picture above, we can see that the bright spot moves at a speed greater than c.
The use of two plane waves should immediately remind you of something else: the scissors paradox! The plane waves are equivalent to the blades of the scissors, and the bright spot is equivalent to the intersection point of the scissors! We immediately suspect, then, that the bright spot that is moving along the horizontal can’t really convey any useful information. We can actually prove that this is the case by imagining an opaque screen is put right in the path of the superluminal bright spot. If we ignore diffraction effects, we can envision that the obstacle cleanly cuts off the plane waves. However, after they travel a little further along, they intersect again and the bright spot is reconstituted! If a true light signal were traveling along the horizontal axis in the bright spot, we would not expect such a thing to happen. This same simple model, incidentally, illustrates nicely the long-known*** and surprising fact that Bessel beams “reconstruct” after hitting an obstacle. 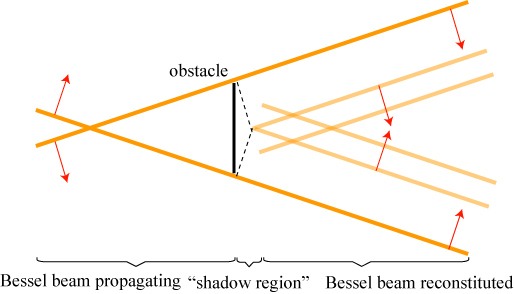 From our picture, it turns out that the reconstruction comes from the fact that a Bessel beam is never directly hitting the obstacle in question! This may still seem unsatisfying; after all, if light ends up reaching the target at superluminal speeds, it would seem that the question of how it got there is moot. We can clarify things by first noting that it is never possible to create a perfect Bessel beam, as it is not possible to make a plane wave that is of infinite extent. A realistic experimental system will only make approximate plane waves of finite transverse extent; the superluminal behavior would then look roughly as shown below. We imagine that two finite-sized light generators produce our pair of plane waves. 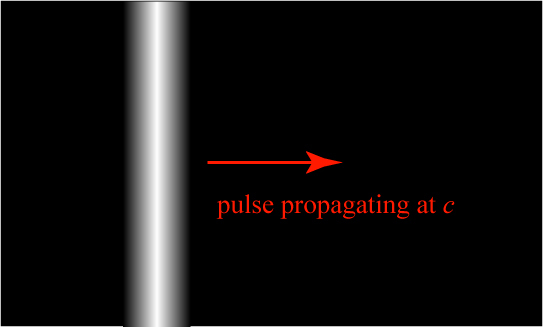 Ignoring the diffraction effects that would make the light pulse spread out, we can identify three regions of propagation. 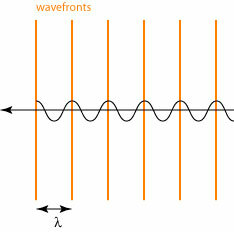 In the “pre-Bessel” region, the two plane waves are just propagating along at the speed of light. When they overlap, they produce a truncated Bessel beam, and then in the “post-Bessel” region, they are two separate plane waves again. Clearly, the only time that anything “superluminal” happens is within the finite region where the plane waves overlap. The catch, however, is similar to the scissors example earlier: the leading outside edges of the plane waves, like the force on the scissors, lead the way traveling at the speed of light. The superluminal spot, like the scissors intersection, is always lagging behind the edges of the plane waves and only catches up when the plane waves separate again! This is illustrated below. So, in short, the Bessel beam’s superluminal behavior is very much like the scissors paradox: we have something that moves superluminally, but it is always lagging behind the phenomenon that created it in the first place! In the scissors case, the phenomenon was the force on the scissors; in the Bessel case, the phenomenon is the plane waves creating the bright spot. This observation, illustrating that the supposedly superluminal Bessel pulse was really subluminal after all, seems to have been quietly noted some time after the original flood of papers on the subject. I found a brief note of it in a 2002 paper*** by Peter Milonni, one of the world’s experts on such light-speed shenanigans. It should be noted, however, that I am not critical of the original research published in 2000. In fact, the theoretical and experimental work done in the paper is sound; the only thing that was incorrect was the interpretation of the results. This is, to me, how science often works, with interesting discoveries challenged, reevaluated and reinterpreted. In the end, everyone learns something. * Mugnai, Ranfagni and Ruggeri, “Observation of superluminal behaviors in wave propagation,” Phys. Rev. Lett. 84 (2000), 4830. 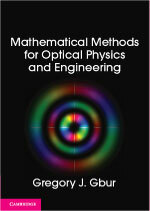 ** Bouchal, Wagner and Chlup, “Self-reconstruction of a distorted nondiffracting beam,” Opt. Commun. 151 (1997), 207. *** P. W. Milonni, “Controlling the speed of light pulses,” J. Phys. B 35 (2002), R31. This entry was posted in ... the Hell?, Optics. Bookmark the permalink. 5 Responses to Dr. SkySkull and the mystery of the subluminal superluminal light! 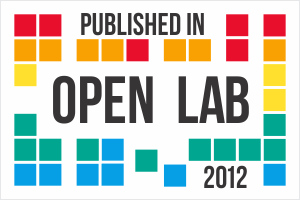 Thanks a lot for such eloquent explanations with clear and intuitive figures. Thanks for the explanations, I’m a little confused though at how this relates to the paper on photon’s traveling at subluminal speeds. How does this explain how Bessel make photons that are slower than the speed of light? See the previous post, linked at the top of this one, in which I explain the physics of the “subluminal” light. In this post, I just focused on how light can appear to be “superluminal” when it isn’t! There is not enough time for light to travel cross the universe, yet the universe is uniform. The problem is: how is it possible for the universe to be uniform if there is no information exchange between different parts of the universe? The shadow example seems to provide a possibility.